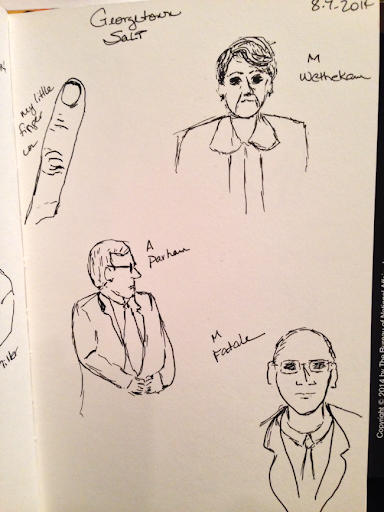 This blog is really a journal of my journey into the world of art. I have no formal art training and have not done much more than doodle since I was a kid. But I am learning that art is an important aspect that has been missing from my life. Thanks to some wonderful extremely artistic friends in the fountain pen world and on Twitter I have begun this journey - thanks, Mia, for insisting that everyone is an artist! So, I am attending a State and Local Taxation Conference in Washington DC at Georgetown Law. This conference coincides with the DC Supershow which I will be attending on Saturday. Sunday is reserved for sightseeing, at the least I want to get to the Vietnam Veterans Memorial, to honor my Dad who was killed there 47 years ago. It has been almost 20 years since my last visit to The Wall. 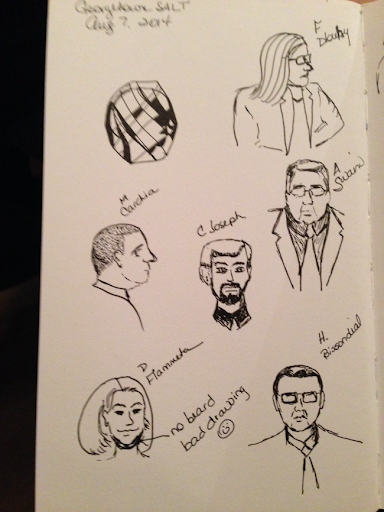 Anyway, today's conference speakers provided a lot of models for sketching. 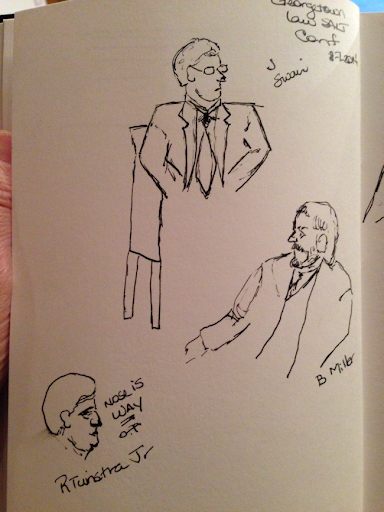 Great sketches, you capture a good bit of personality! Siure wish i was there at the pen show, hopefully next year. Have fun and buy lots of pens and inks. I did this one to include in Tammy's Building a Rainbow over at Daisy Yellow . Weekly Challenge #28: "Trip to Tripoli"
I am not a certified zentangle teacher or in any way associated with the official Zentangle company. The Zentangle® art form and method was created by Rick Roberts and Maria Thomas. Zentangle® is a registered trademark of Zentangle, Inc. To learn more please visit zentangle.com. This work by J. L. Bynum is licensed under a Creative Commons Attribution-Noncommercial-No Derivative Works 3.0 United States License.